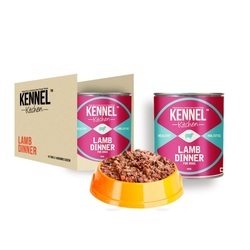 Kennel Kitchen Lamb Dinner is a made with fine quality minced lamb. It is highly nutritious, rich in protein and fats. Contains no fillers such as corn, soy or wheat. It is made with 100% natural lamb.